Today I am have a pretty amazing giveaway from one of my sponsors, Green Fairy Quilts, owned by the incredibly talented quilter, Judi Madsen and her husband Clint. They specialize in Moda and Riley Blake precuts: Fat Quarter Bundles, Jelly Rolls, Charm Packs, Layer Cakes, etc. as well as patterns, notions, and thread. They always have the latest collections at great prices not to mention free shipping in the US. Frequent sales and specials mean the prices get even better. They also have the option to pre-order up-coming collections months ahead to guarantee a new favorite arriving asap. Judi is also an incredible long-arm machine quilter. Her work has so much detail. Check out her amazing work on her Green Fairy Quilts blog. And Judi has written a book to share her quilting experience and wisdom called Quilting Wide-Open Spaces. The book is full of technical quilting tips, creative quilting advice, simple quilting projects, and includes a CD with quilting templates. 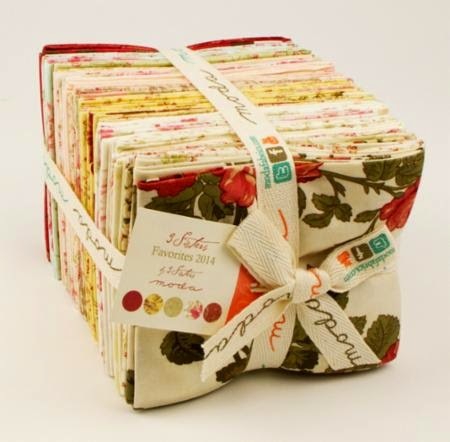 Today Judi is giving away this Three Sisters Favorites FQ bundle that includes 40 Fat Quarters (a $140 value!) to one of you. To enter to win, visit Green Fairy Quilts and sign-up for their newsletter (click Join Email List button at the top center of their site) and leave a comment on this post telling me that you’ve done so. This is a great way to be notified of all their amazing future sales and specials. I already get their great newsletter! Beautiful fabrics! I think the Aurrora Batiks available for preorder are very nice. I am already getting their newsletter. Yay. Thanks for hosting. Mrscummings2u at Gmail dot com. I love the Crazy for Red FQ bundle!! Hi, Patchwork Garden Layer Cake is my favorite. Thank you for the chance to win!! Quilting Treasures FQ bundle looks great! I love the fact they offer bulk savings, great way to add to your fabric stash. I already receive their newsletter. It&#39;s a great shop. I love the Quilting Treasures basics bundles, especially the Lola Textures. I&#39;m already subscribed to the newsletter. Thanks. Love the Quilting Treasures Color Blends Cool Fat Quarter Bundle. Thanks again. I like the Riley Blake fat quarter bundle in fancy free. I get the newsletter and have ordered from them before… great service and products! I receive the Green Fairy Quilts newsletter. Just in general…. they have great prices and a great variety…. deals all the time! Thanks for the fabulous giveaway! I love the wee ones flannel fat quarter bundle. I recently purchased a mini charm of Avant Garden and love it! I would love to have more on hand. <br />thanks for the chance! What do I love at the Green Fairy Quilts website? Ummmm, am I allowed to say everything? I think it would be really fun to have the Moda charm pack &quot;Dottie&quot; in my stash. I love Green Fairy Quilts! I order all my jelly rolls and charm packs from them. I just<br />purchased Miss Kate in flannel. Thanks! I get the Green Fairy newsletter. Love the shop and Judi&#39;s work is amazing! I love so many things in the Green Fairy shop! One beauty that I just saw for the first time today is Quilting Treasures Fat Quarter Bundle – Lola Textures. These fabrics would be great stash builders! I get the newsletter! Love them! So hard to pick one thing! My favorite? Green Fairy Quilts Charity. What a great giveaway! I already receive Judy&#39;s newsletter. Thank you! Merry Christmas. I love their swiss dots bundle. I already get Green Fairy Quilts newsletter. I love their shop. I love the North Country Trail Batiks Fat Quarter Bundle. Thanks for the opportunity to win! I&#39;ve been an email subscriber of theirs for quite a while. I&#39;m in love with Modern Neutrals…I see they still have a jelly roll of it available. That 3 Sisters bundle looks lovely! I adore their colors. I am already subscribed to Green Fairy – I have bought many items. Judi&#39;s book is also a beautiful book. It is very inspirational! I already receive the Green Fairy newsletter, follow their blog and like them on facebook. I am a very happy customer!! My taste changes from time to time but right now, I am crushing on anything by Laundry Basket quilts! The Hearts Content line is so beautiful! Of course, I&#39;m also still loving anything by Bonnie &amp; Camille and can&#39;t wait for DaySail to come out. I signed up for the Green fairy newsletter! thanks for the giveaway! I really like that Swiss dots bundle. Thank you. I love the F8 bundle of avant garden by momo that&#39;s on sale. I might have to come by later and buy it. thanks for the giveaway! I already get the newsletter. Thanks for the great giveaway. I love all things Moda. The line that I really like right now is Pedal Pushers. Thanks for the great giveaway. I get their newsletter! It&#39;s a great shop! I have joined Green Fairy Quilts Newsletter! I love that she still has some RB gingham in stock… And on clearance! Already receive Green Fairy newsletter! Impossible to pick a favorite. Love all things Moda. Crush over Riley Blake. I already receive their newsletter. Love their low prices on precuts. I enjoy how I can easily maneuver the different sights in their shop. Especially love &#39;The Boat House&#39; Fabric by Sweetwater! Thank you for this giveaway chance Amy and Judi &amp; Clint! Love the beautiful quilting you do Judi!! I have signed up for the Green Fairy Quilts newsletter. Thank you for the chance to win this! I like Ceazy for Red and Kansas Trouble! I am signed up for te news letter. I&#39;m signed up and love Green Fairy Quilts! I am partial to Bonnie and Camille! Thank you! I already receive the Green Fairy newsletter. I love their great prices!!! Thanks for the chance to win. I am already on the newsletter list. Green Fairy has a great selection of pre-cuts. Especially fond of Bonnie and Camille. Checked out their site. Lovely material but for now I have to finish what I have started. But what I would love to have is the Simplify 50 wt aurifil 12 large spools. I love the Quilting Treasures Fat Quarter Bundle. What a great rainbow hued bundle. Just signed up. I&#39;ll be letting Santa know that GFQ has a spinning 12&quot; rotary mat on sale for $32.50…. I love the Riley Blake Primrose Garden fat quarter bundle. I already am a subscriber to her. Site and yours. Merry Christmas! Love Judi, I have received her newsletter for awhile now! Modern Neutrals would be my favorite, though anything from French General usually gets my attention! Thanks for the giveaway! First time to see their site, no favorite,everything is great and the prices. what a wonderful fabric giveaway. Signed up and hopin! I&#39;ve been getting their newsletter for quite a while. They have awesome sales! I love the Regent Street fat quarter bundle. I&#39;m intrigued by Paisley Park! I am subscribed to Green Fairy newsletter. Loving the Swiss Dots FQ Bundle – so useful! 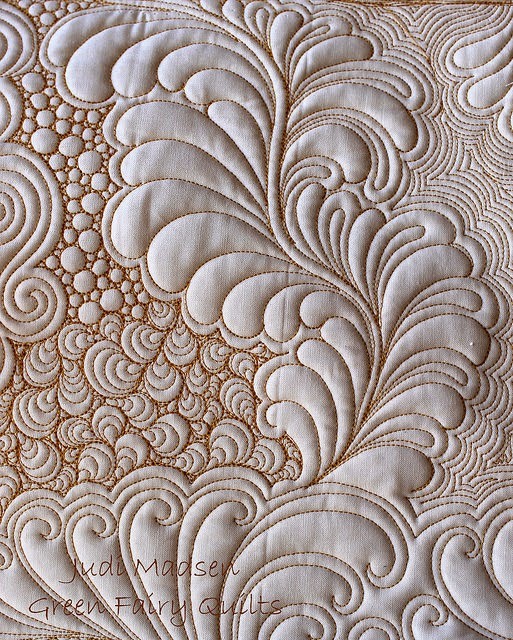 Love that close-up of the quilting- wow! I am a subscriber already. Love the crazy for red fabric collection. I love so much Crazy for red by Minnick &amp; Simpson … just wow ! I&#39;ve been a subscriber at Green Fairy for a while now. I signed up for the newsletter and I love their free shipping in the US! I checked out their website – this is a great resource and a little different than the typical fabric shop. I love that they specialize in pre-cuts and have great deals on them. I&#39;m currently loving Boat House by Sweetwater – so maybe I&#39;ll splurge and get several pre-cuts. I also really like their Bulk Deals – great way to build stash! 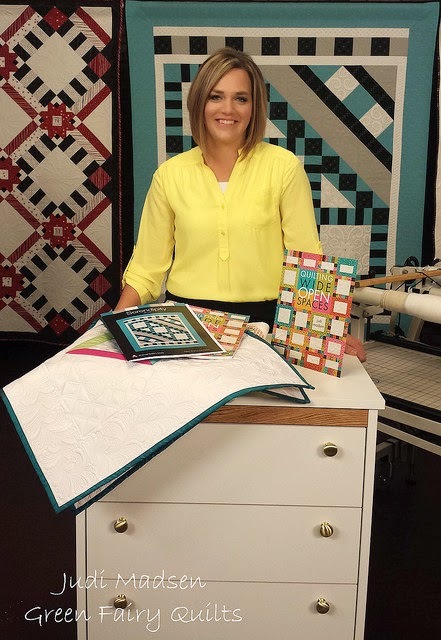 just signed up for the newsletter and i love all of there precuts sets love love Riley Blake fabrics!! thank you for the giveaway. i love bloglovin for all you talented ladies websites!!! I am already signed up for their newsletter. I love the Elementary line from Moda. I want to get the Elementary layer cake. I love the large selection of precuts that Green Fairy offers – and on sale too! I love the French General Favorites pre-cuts. Yummy. I already take the newsletter for Green Fairy. Love them!! I love that they have FREE shipping in the US. Does that count? I signed up for the newsletter – what a great website! I&#39;ve been a fan for a long time. I signed up for the Green Fairy newsletter. I was browsing around the Green Fairy site and found the Moda quilt kit called Sphere Halftone – I love the design and it&#39;s even on sale! I already get the newsletter. Thanks! Lots of great precuts. I&#39;m always partial to anything from Bonnie &amp; Camille! I&#39;m already signed up for the Green Fairy Quilts newsletter! I love the Riley Blake Snapshot FQ bundle. I get the newsletter from Green Fairy Quilts, Judi&#39;s quilting is spectacular. Crazy for Red by Minick and Simpson is a beautiful FQ bundle, I like it a lot! I&#39;m already signed up for Judi&#39;s newsletter! I already get the Green Fairy Quilts newsletter. I love the new Quilting Treasures fat quarter bundles! Signing up now… I have ordered from her in the past and the service was great. I&#39;m dying to get my hands on some Daysail! I receive the Green Fairy newsletter. I love their fat-quarter bundles. Crazy for Red is my current favorite. I have been a subscriber for a while now; I love Judi&#39;s blog! I already get the GFQ newsletter. I have already signed up the GFQ newsletter and look forward to what they have new or on sale! It&#39;s so hard to choose, but I&#39;m really looking at the Kiss Kiss Moda Fat Quarter bundle. I love the mixed bag layer cake by moda. It looks so fun, bright and cheery. I am subscribed to Green Fairy Quilts newsletter! They have amazing deals. I just ordered a bolt of Bella Cotton Snow from them. Thanks for the give away! I love that she has her Charity listed on her website. I have signed up for her newsletter. I signed up for the newsletter. Thanks!<br /><br />Please click on the delaineelliott above for my email link. I love the Moda Be Jolly Midnight Blue fabric. Thanks!<br /><br />Please click on the delaineelliott above for my email link. I signed up for the newsletter.<br />Thank you. I already receive their newsletter. Thank you so much for the giveaway. I am a regular reader of Green Fairy Quilts newsletter. I have been eyeing Floriography for awhile; it&#39;s really pretty! I love the Summer Breeze FQ bundle. I like the fat quarter bundles Regent Street by Sentimental Studios and Petals by Quilting Treasures. Thanks for a great give away! I signed up for Green Fairy Quilts &#39; newsletter. I love the products at Green Fairy Quilts but most of all I love their promise to beat anyone&#39;s prices! I already subscribe to the newsletter. Just received my latest package from them yesterday! I love the &quot;Temptations&quot; fat quarter bundle. Of course, I love most of the bundles they carry. The free shipping seals the deal for me! I can&#39;t wait for Whitewashed Cottage by 3 Sisters that will be released in January. I have been a follower and subscriber for a few years now – love their fabrics and prices. I love so many of the fabrics but right now I really love &quot;Rambling Rose&quot; by Sandy Gervais – those colors and the roses are so beautiful. I love the Best Day Ever fat quarter bundle! Green Fairy has a great selection of precuts! I already receive the newsletter. Thanks. I like the Field Guide layer cake. I receive their newsletter already. I most recently purchased Sweetwater&#39;s Elementary Layer Cake and can&#39;t wait to get started! I love all the Lakeside Gathering stuff by Moda… would love to make a light summer quilt from it! Thank you for the giveaway and for pointing out a great quilting resource! I love Quilting Treasures Fat Quarter Bundle – Temptations!! Thanks for the chance! I love the quilting from Green Fairy Quilting! I already receive Green Fairy Quilts Newsletter. This is my go to place for precuts! Great prices, frequent sales, fast service and always a handwritten comment on your order sheet! I love the pre-order for future selections. I love the Summer Vacation Batiks Fat Quarter Bundle by Moda! I really like the new addition of Quilting Treasures FQ Bundles. I really like the quilt kit for the Collections for a cause line Mill Book 1892 but not available until April 2015. I already get Judi&#39;s newsletter. Thanks for the chance! I signed up fir their newsletter! My favorite thing on their website? Their price guarantee! I have always wanted to visit the site… thank you for the opportunity to win a gorgeous fat quarter! Oooo I love the Modern Neutrals Layer Cake. I also joined the newsletter and love her v and co color me happy slice—on sale! Thanks again for the opportunity to win! I love that I can preorder some precuts from the Green Fairy shop! I recently bought some bundles from Green Fairy, and ummed and ahhed over whether to get the matix bundle. It&#39;s the perfect rainbow bundle – colour but with texture. Maybe I&#39;ll get it for my birthday! I already receive their newsletter! Love them! I love their daily specials and great sales on top of that! Love the Riley Blake Fly Aweigh bundle they have! And already subscribed to the newsletter! I receive their Newsletter – and I love all the kona solids! She has great prices. Thanks! I joined their email list! I think it&#39;s awesome they allow preorders on upcoming precuts! The Color Theory by V and Co due out next year is my fav. Judi is such a talented quilter. Her work is gorgeous! I do subscribe to their newsletter and enjoy seeing all the wonderful sales they have. I already receive the newsletter. LOVE their site and products!!! I subscribed to the Green Fairy newsletter as suggested in yout blog. right now I am crushing on Atelier FQ bundles by 3 sisters! Crazy Reds is one of my favorites! In looking at the Green Fairy site I was impressed with the fact that they have a daily Deal, Moda solids yardage, and no shipping charges. I think I may order from them very soon. I love charm packs and Kansas Troubles just calls to me! I&#39;ve subscribed (and ordered from) Green Fairy Quilts for quite a while now! What a generous giveaway — thank you! Hard to choose only one favorite.Any Moda fabrics would be great.Thanks!! I love the Moxi fatquarter bundle! I also love the aurafil sets! I&#39;ve been getting their newsletter for some time. Always enjoy seeing what they are carrying. I already get the newsletter. I love that you can preorder items that are not out yet. I could really use some bella solids for my stash. I receive it already – thank you for the opportunity! I get the Green Fairy newsletter! thank you! I love Boathouse by sweetwater – I would love to make a jelly roll quilt for my sister using this fabric! I am hoping to get some Day Sail soon!!!! Thanks. I love the Crazy for Red by Minnick an Simpson. I love Moda&#39;s Regent Street! I receive GFQ&#39;s newsletter. They have great sales on precuts, and you can&#39;t beat the free shipping. I like all their Aurifil thread kits. I just signed up for the Green Fairy Newsletter and received a confirmation email. I&#39;m already a subscriber to Green Fairy&#39;s newsletter. I would love one of the best selection suitcases of Aurifil. Thanks for the giveaway. I&#39;m loving Airmail boy Comstocks! It&#39;s so cute! I want the three sisters whitewashed cottage, which although it isn&#39;t out yet I first saw it on her site! I have been a long time follower of Green Fairy and their newsletter. It&#39;s a terrific web site! I am always on the look-out for new fabric and I love the &quot;Newest Arrivals&quot; section of the Green Fairy web site. I already follow Green Fairy via email and LOVE the Three Sisters prints! I receive the newsletter, and order from them often! I have Riley Blake &quot;Small Dots&quot; fat quarter bundle on mt wish list. I like the Ombré Dots bundle, but would need it in full yards instead of fat quarters. I have been receiving their newsletter for over a year. I&#39;m already on their email list. I&#39;ve added your giveaway to the ongoing giveaway link up on my blog. I just signed up for Green Fairy newsletter…. While I was at Green Fairy Quilt shop I decided I love all the MODA she has….. Yes, i already receive the newsletter. I like Crazy for Red by Minick and Simpson. And i esp love the free shipping at GFQ,. Love the Quilting Treasures FQB of Lola Textures. The colors are so vibrant. I love Crazy for Red by Minick and Simpson. I just signed up for the newsletter ! YAHOO ! I have had my eye on the Crazy for Red fat quarter bundle and have a project in mind for it, too! What a generous giveaway! I receive the Green Fairy newsletter and have ordered from them before. Love their customer service! I liked several of them (who am I kidding-I liked/loved all of their fabrics), but I think I liked Autumn Lily by Blackbird Designs maybe a little more than others. I would like the 216 spools of Aurfil thread. I know it is expensive but I love thread! I signed up for Green Fairy&#39;s newsletter. I love everything by Bonnie and Camille. I&#39;d really love the Vintage Modern fat eighth bundle. Already receive the Green Fairy emails! Paisley Park is my favorite fabric line just now. But I really love the great prices and free shipping the best! Signed up … Free shipping and pre-cuts!!! WTG :o) love it! Love the Riley Blake fat quarter bundles! I love green fairy quilts and have have subscribed to their newsletter. Riley Blake all the way !! I get the Green Fairy Quilts by email ! but i use my yahoo email ……. I would love to find &#39;Crazy In Red&#39; in my stocking for Christmas. I&#39;m already a Green Fairy subscriber. Love the fabric and I will need to check this book out. Green Fairy is new to me – I can&#39;t wait to check it out. I just signed up for their newsletter, now to go back and have a look. Thank you for introducing us to this wonderful site and this great opportunity. I signed up for their email. I really like the Cotton Candy Sorbet Bundle but there are so many to choose from. I really like the Moda quilt kits at Green Fairy. Thanks for the giveaway. I signed up for the Green Fairy Quilts newsletter. Thanks for the giveaway. I love the Riley Blake yardage! I like their 30&#39;s Playtime layer cake. I get Green Fairy&#39;s newsletter. I am on the Green Fairy mailing list! I&#39;m already signed up for their newsletter! Forest Friends is really an adorable set. I love the Rue Indienne Fat Eighth bundle! I just signed up for the newsletter. I love the detailed quilting. So gorgeous! I love that Green Fairy Quilts had so many precuts available! Have you seen the quotes page?<br />http://greenfairyquilts.com/pages/-QuiltingQuotes.php<br />What fun! I love the Bella Solids Junior Layer cakes…just the right number for small quilts! I really love The Boat house by Sweetwater. I really like that Green Fairy Quilts allows you to pre-order up coming fabrics. I am subscribed to Green Fairy Quilts newsletter. I really like the Woodland Summer FQ batik bundle! My second choice is the new Lola Textures FQ bundle. My absolute favorite feature of Geen Fairy Quilts is their free shipping! thanks. And my favourite thing, hands down, is A Field Guide by Janet Clare. Love that fabric. i love this Strip This! Quilt Kit. I just signed up for the newsletter and can&#39;t wait to check it out! I already get the Green Fairy newsletter. I like the Moda Fat Quarter Bundle – Crazy For Red. I am signed up for Green Fairy newsletter. They always have my favorite fabric lines! I kiss kiss is adorable! I&#39;m already a subscriber &amp; purchased a jelly roll called &quot;Dotty&quot; for my Guild&#39;s challenge. I am eying the FQ bundle of Trail Mix. I receive the Green Fairy newsletter and really like their sales along with NO postage! I have been looking at the Moda FQ bundle, Avent Garden by MoMo. Thank you for the givaway. I already receive Green Fairy&#39;s newsletter. They are a great little shop. 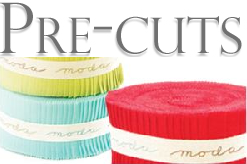 I love their pre-cuts and they always have fantastic prices. They are extremely nice and ship free in the U.S. super fast too! I loved the Riley Blake fabric bundles, especially the happy flappers! I signed up! My email is quilter552001@yahoo.com<br />I really liked all the patterns. Especially the Garden by Amy Bradley! The patterns and the fabric too! I forgot to mention that first comment! I have been a subscriber and a customer for over 2 years! Love this place. When I need a pre cut they are the first place I look! already receive Green Fairy newsletter and love their pre-cuts. I do receive the Green Fairy Newsletter. I am watching their solids…waiting for the right deal on some solids! I have recently ordered the moda fat quarter bundle, airmail, from Green Fairy – loving all the red, white and blue fabrics at the moment….. I signed up for the newsletter- thanks for the giveaway! Judi is an AMAZING quilter and I love her shop – so much to choose from! Today&#39;s deal on Green Fairy Quilts is truly a great bargain – I plan to visit every day! I also like the ability to preorder Pre Cuts and get free shipping! I get the Green Fairy newsletter, thanks! I subscribe to their newsletter..
Just signed up for the newsletter! Thank you! Hi I get their stuff. Plus I just got my order from the layer cake sale they just had. Fast shipping! I signed up for their newsletter. Thank you for telling me about their web site. I love the mixologie fq bundle. I love how bright and colorful their website is. It&#39;s certainly eye candy! I&#39;m interested in their clearance section. I have just subscribed to receive their newsletter. I love getting emails about the latest sales and newest preorders. I follow Green Fairy&#39;s newsletter! I like Fancy by Lily Ashbury charm pack! Thanks for the giveaway! I subscribed to the newsletter, thank you! The Preorder section is a great place to discover new lines of fabric. For example, I just added &quot;Poems from Pebbles&quot; by Malka to my &quot;watch&quot; list for next year after seeing it there. I like them all – but I NEED the Milk Cow Kitchen jelly roll, SO cute!!! I am a subscriber, thanks for the opportunity to win. I love The Boat House! Alison Glass Essential Aurifil threads look wonderful at Green Fairy! WOW! I signed up for the Green Fairy Newsletter! Thanks for the opportunity to win! Can&#39;t pick just one favorite thing about this shop, but I do know FREE SHIPPING just made my day! I already receive the Green Fairy newsletter and love it……Hope I WIN! I get their newsletter. Great blog and wonderful prices and service. I love their products! I already receive Green Fairy&#39;s newsletter. I checked the clearance section and love the layer cake Wishes by Sweetwater. I love the Riley Blake &quot;Snapshots&quot; and &quot;Small Dots&quot;. I think they would be amazing together! I have been receiving their newsletter for a long time and enjoying a lot of their goodies along the way. I already subscribe to the Green Fairy Quilts newsletter. I subscribed to Green Fairy newsletter. I like the Riley Blake Rosecliff Manor Fat Quarter bundle. I love the Pre- cuts from 3 Sisters ! What a beautiful selection. I already receive the Green Fairy newsletter and highly recommend their site. I already receive Judi&#39;s newsletter. She&#39;s an incredible longarm quilter. I went to the website AGAIN today. I love her patterns and have Flower Patch hanging on my wall as I type. Fabric choices and the easy access is a plus. Went to Green Fairy and signed up for their newsletter. Looks like an interesting site. I already subscribe to the newsletter. This is one of my favorite shops. I have Judy&#39;s book and also signed up for her Craftsy classes. I am really liking the layer cake &quot;Crazy for Red by Minick &amp; Simpson&quot;. Thanks for the chance to win the fantastic fat quarter bundle. I am going to get lost in the shuffle of all the comments. Anyway, went exploring at Green Fairy. Love the &quot;quilting quotes&quot; and all of the mini-charms. Green Fairy is now on my favs list~thanks so much for the heads up. What I like about her store? Everything! Prices are amazing and the fact that they have international free shipping!!!!!! Thanks for the giveaway! I love the fabrics they carry… and the Free Shipping! I subscribed! Love the Green Fairy fabrics! Thanks! I now signed up for GF&#39;s newsletter, thanks! I need some Bella solid charms to coordinate w/the charm pks I already own. I am already on the the email newsletter. I also love the layer cakes. Just ordered the holiday print layer cake (Moda). Wow! What a wonderful bundle of fabric to win!! I am already signed up for the Green Fairy Quilts newsletter – thanks for the chance…. crossing my fingers! I already receive Green Fairy Quilts newsletter. I am absolutely in awe of her quilting skills! I love their selection of charm packs. Thanks for the opportunity to win! I signed up. Thanks for the chance. My favorite thing about their shop is the fact that they offer free shipping all the time AND they have the best prices! They promise to beat everyone&#39;s prices (after you figure in the competitor&#39;s price+shipping). They truly are the best!!! I signed up for the Green Fairy newsletter. Great selection and prices on Aurifil thread collections at Green Fairy. I already subscribe to Green Fairy Quilts. They are awesome to order from as their service is quick and they give you a lovely green pen with your order. My favourite on Green Fairy quilts website is Judy&#39;s book on quilting open spaces. I already receive the green fairy newsletter great site! I&#39;d love to get some day sail by Bonnie and Camille! I already receive the Green Fairy Newsletter. Thanks. I like the Crazy For Red by Minick &amp; Simpson bundle. I have my eye on some of the Bella solids jelly rolls and the yardage as well. thanks for the opportunity! I love the Green Fairy shop website!! Free shipping in the US, links to precuts and sale items! Plus lots of great fabric; the site is well designed and easy to navigate. And, I love the design and bright colors!! Love the Quilting Treasure fabric line. I love Wishes by Sweetwater. Green Fairy is one of my favorite shops! I love the Collections Community fat quarter bundle they have in their precuts section. Thanks for the chance to win! I get the Green Fairy newsletter. Thanks Judi and Amy! I too receive their emails, and I am one of their happy customers. They&#39;re specials, free delivery, and fast shipping can&#39;t be beat! Thank you for the giveaway! I have subscribed to their newsletter. Thanks for the chance to win! Do I have to choose one thing? Everyone knows about their wonderful prices and free shipping, and there aere so many cool fabrics!! If I have to pick one, I&#39;d say swiss dots. Just subscribed to the newsletter. Looks like some great deals! Have always wanted to get some sweet &#39;30s prints! Thanks for the chance! Signed up for the Green Fairy newsletter. I love the Judy Madsen Butterfly Quilt pattern! I already receive their newsletter and have ordered precuts from them. I love the bundle of Red, White and Free fabric. Thank you for the giveaway. Would love to have the color me happy thread box. The prices and selection seem really good. I signed up! They carry superior thread! Cool! My favorite at Green Fairy was the Floral Gatherings shirting collection. In fact, I ordered enough to (hopefully) make my first quilt!!! I already get the Green Fairy Quilts Newsletter. Thanks so much for the chance to win. I would love to have the Crazy for Red FQ bundle by Minick and Simpson. Thanks for the chance to win. I love the Moda Community collection. I could spend hours just browsing this site! I have been getting newsletters and am a frequent purchaser of Green Fairy Quilts. I love all the precuts and the amazing prices they have. Plus the bonus free shipping. Every week they offer a fantastic deal. Love this sight. I love the Bella Solids! I&#39;ve ordered fabric from them and think they have great customer service! I love elementary from Moda. I just subscribed to the Green Fair newsletter. I love the Riley Blake Fat Quarter Bundle called &quot;Paris&quot;. I already get their newsletter! Thanks for a chance to win! I love the batik jelly rolls…I need some real bad!! I receive the Green Fairy newsletter already. I am waiting for a package of squishing loveliness to arrive any day. Their service and prices are great. Judy is an incredible long arm quilter. What a nice giveaway! I signed up for their newsletter. As for what I&#39;m excited about, I&#39;m torn between the Feed Company precuts coming out in March and Fresh Cut precuts coming out in Feb. I love your pricing and shipping charges. Also, I very much like the pre-order section. I always check it out when I visit. I have signed up for the Green Fairy Newsletter. Thanks for the opportunity. I love the site because I am a sucker for precuts and Moda fabric. Thanks for the info! I really like their selection of charm packs! I would love to play with some of the Red, White &amp; Free that is in the shop! I would love the Block Party fat quarter bundle coming out in March. Already get the newsletter. Thanks! I need the Swiss Dots in the worst way! I already get their newsletter. Green Fairy is one of my favorite shops. They have great service and good prices.